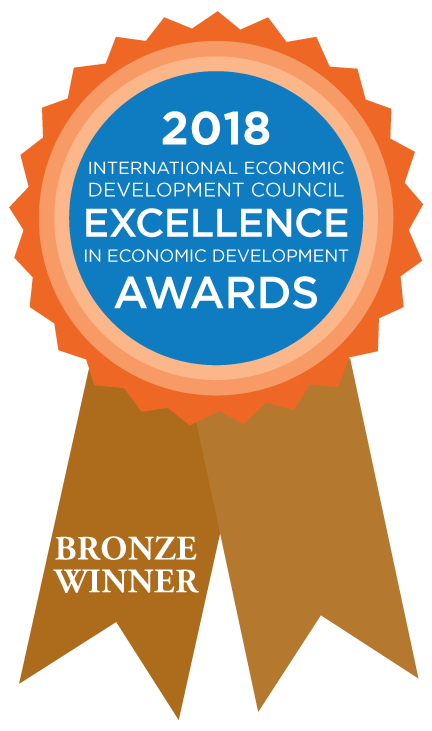 The InnovateLA annual event series, powered by LAEDC, has been recognized by the International Economic Development Council (IEDC) with a Bronze Medal, among a field of US and international nominations. The announcement was made today, October 2nd at the IEDC Annual Conference in Atlanta. This adds the the growing list of honors and international awareness that InnovateLA has garnered, just as preparations heat up for InnovateLA 2018. Innovate LA is an annual, countywide celebration of the breadth of innovation and creativity within our region. 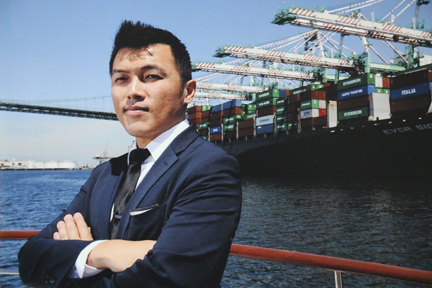 The event series highlights LA’s position a leading global center for innovation and entrepreneurship rooted in creativity and diversity, and increases awareness of organizations involved in cutting-edge endeavors that uplift economic opportunity in LA. 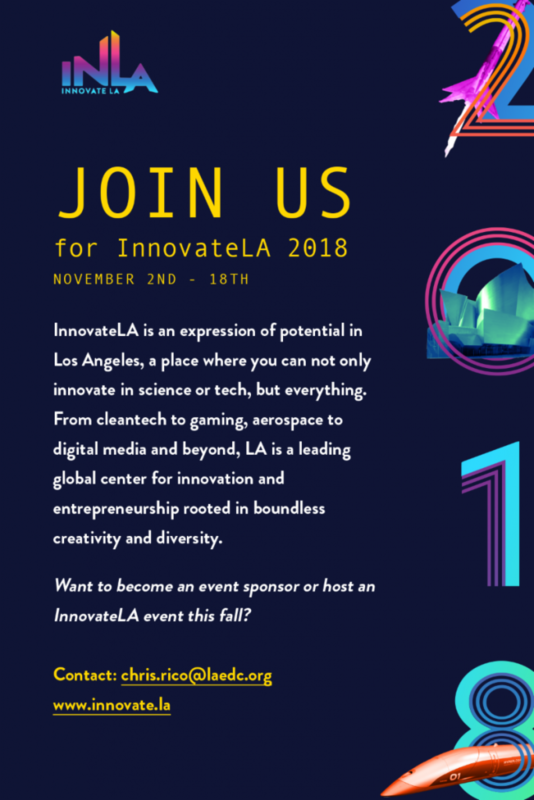 If your organization is part of the innovation ecosystem in LA, we encourage you to plan your event to coincide with InnovateLA 2018, which runs from November 2nd-18th.